The goal of this campaign was to remove the trash cans that were located at the Shinnecock Inlet, at the end of Road H in Hampton Bays. The Shinnecock Inlet provides access to the Shinnecock Bay from the Atlantic Ocean. 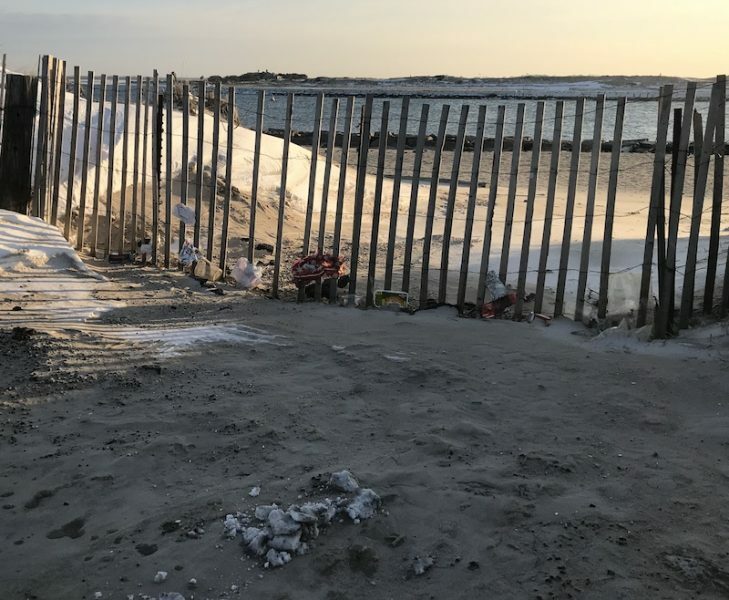 The trash cans were located at the easternmost part of Dune Road in Hampton Bays at the end of Road H, also known to locals at The Bowl. The Chapter noticed that the trash cans were frequently overflowing with waste, and that people were misusing the trash cans to dispose of household waste. When the cans overflow, it makes trash vulnerable to being blown around. Also, animals easily access the trash, spreading it all over the beach. 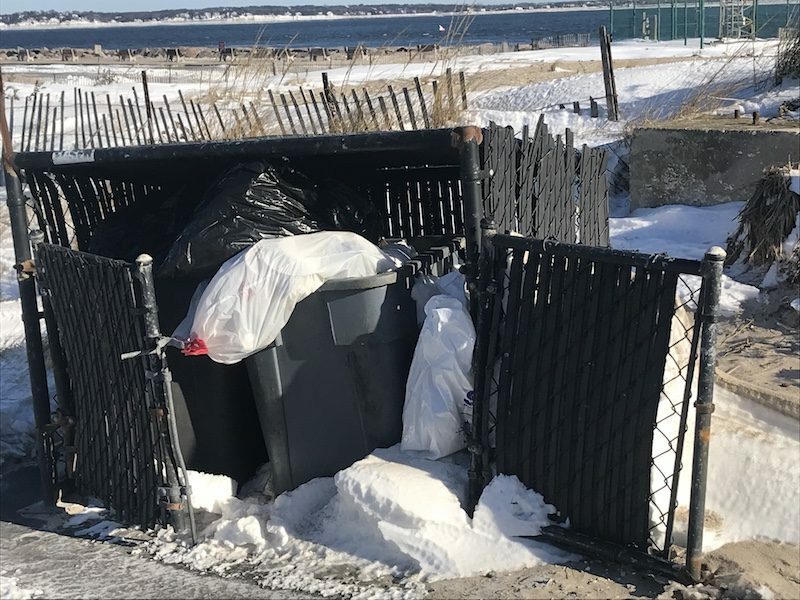 After frequently sending in pictures of the situation, the Town of Southampton removed the trash cans from the Shinnecock Inlet on January 9th, 2018! Thank you Southampton Town! We look forward to continue working together. After.. the litter caught by the fence shows just how much this area is affected by wind.